Fun Backyard Science Experiments for Kids! It can be a struggle to find something fun AND educational to do with your kids and especially in the fresh air outdoors! We don’t want our kids indoors playing video games or watching TV all the time. It’s important to help them get active and engaged to balance out screen time. 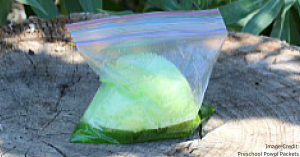 To help you out, we have compiled a list of backyard science experiments for you to do at home with the little ones after school or on the weekends. Experiments are not only super fun, but it’s a joy to see your kids’ faces when they learn something new and see a scientific reaction. Fusion students are currently learning about ecosystems and biomes in this month’s course module, and all of these backyard science experiments will continue that learning in the fun of their backyard or local park! 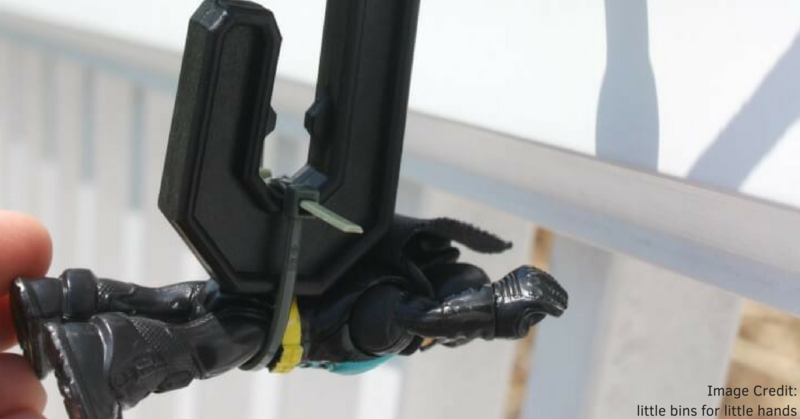 The DIY mini microscope will allow kids to see all the tiny living things in your backyard up close and personal! The best part? 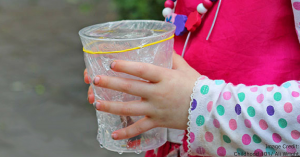 All you need is a cup, some plastic wrap, and a few household items! Whether it is creepy crawlers or leaves off a tree, it will be super fun to see these magnified to examine them. They will be able to learn how many legs spiders have and see the fine details of leaves. Build your own microscope in a few easy steps and begin examining! Learn how to make the microscope here. 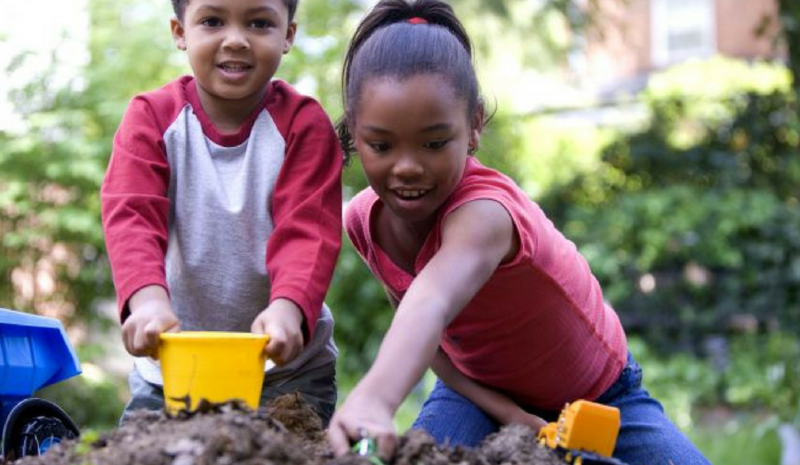 By first going to a local garden store or even home improvement store, your child can pick out the seeds he or she wants to plant. This will be a great lesson how a simple seed can turn into something beautiful with a little TLC. Find a special place in the yard and plant away! 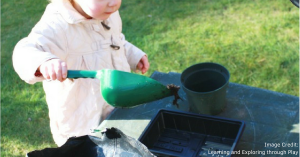 Every day your child can water the seeds and home garden, showing how living organisms grow. It is so fun for kids to see something come to life! For more information click here. Baking soda and vinegar are opposites to say the least, and create quite the show when mixed together. 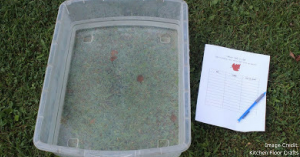 When setting up this experiment, your child can practice making predictions on what will happen and crafting theories - basically a kid-friendly hypothesis! What child doesn’t love a safe explosion right in front of their eyes?! For a list of materials and step-by-step directions, click here. 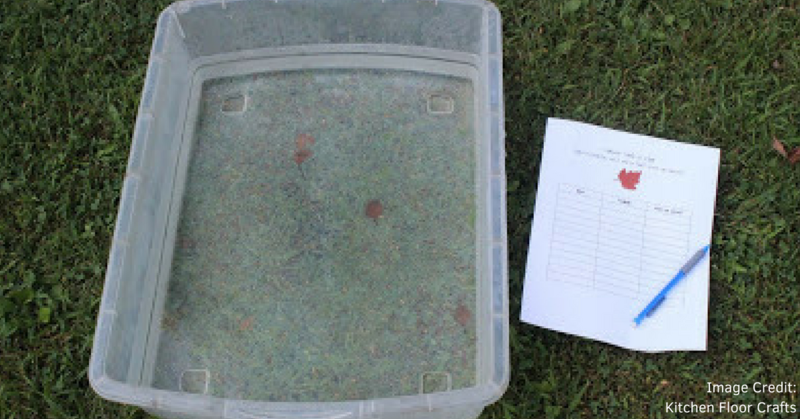 We all may remember this fun experiment from our elementary school days. 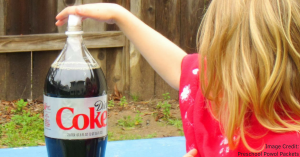 Put a few Mentos candy in Diet Coke for a safe, but crazy explosion. This is a great experiment to teach kids about reactions and how mixing different items together creates chemical explosions. Get ready and have extra space all around you, because this experiment takes no time at all…1...2...3… Blast off!!! Click here for directions. If your kids haven’t learned by now how powerful (and hot!) 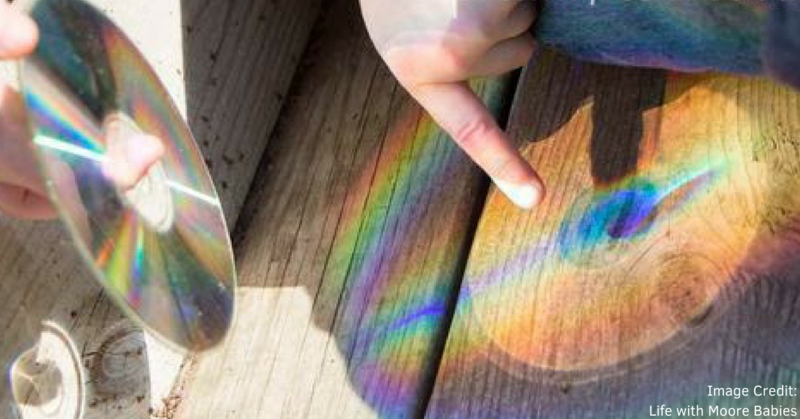 the sun is already, they can discover themselves with this fun, easy experiment! 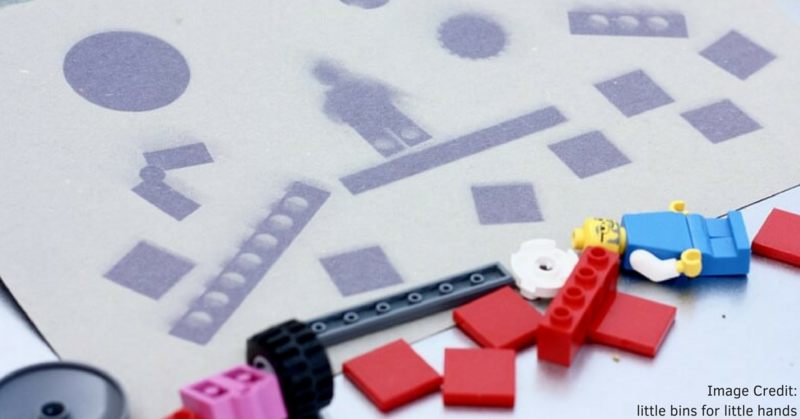 By laying LEGOs out on construction paper, in direct sunlight for the day, your kids will see how the paper absorbs the sun’s UV rays leaving marks of where the LEGOs were placed. Amazing huh?! Plus this is a great example on the importance of sunscreen too! See how to do this here. Who doesn’t love a beautiful rainbow?! Especially one with a pot of gold 😉 Rainbows are super magical for kids and easy for you to help them create with an easy lesson on reflections. Whether it’s with the hose in the backyard or an old CD near a window, this is a great activity for a short amount of time. Also, this is an awesome way to practice colors too! Discover all the ways to make rainbows here. With a plastic tub of water and a variety of objects in the backyard, your kids can learn about sinking or floating. After gathering the objects of their desire, have them predict which ones will sink and which ones will float by writing down a list. Then, you can star the ones they predicted correctly. Once they start this activity, they won’t want to stop as they learn about buoyancy! For more information, click here. It’s time to send those little, toy figurines on an adventure! 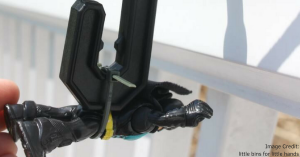 With just a couple supplies from the local hardware store, you and your kids can create a miniature, toy zip line in the backyard. This is not only fun, but it teaches them about the kid-friendly basics of physics: gravity, momentum, and motion. Learn how to construct this here. With summer right around the corner, these fun backyard science experiments for kids are perfect for entertainment and education. At Fusion Early Learning Preschools, we believe in learning experiences that excite the young learner and expose them to new ideas and concepts, not typically taught at schools for this age group. However, we want to introduce them to the many wonders of the world they live in. Parents, you can sign up for a free tour to see our classrooms for yourself and the future of your child. Contact us here, for more information.